Scientists say amending an EU directive on GMOs could help stimulate innovation in making cheaper vaccines, pharmaceuticals and organic plastics using plants. In a paper to be published in Current Pharmaceutical Design, six scientists from the US and Europe, including Dr Penny Sparrow from the John Innes Centre, compare risk assessment and regulation between the two continents.Sense About Science will run a live Q&A on the subject from 12-1 on Wednesday 20th February. In the EU, plant-made pharmaceuticals have to be authorised in the same way as GM agricultural crops. In theory, agricultural crops can be grown by any farmer in the EU once approved. But for crops producing pharmaceuticals this would never actually happen. Drug companies would likely license farmers to grow these crops under controlled, defined and confined conditions. “We need tight regulations enforced by continuous oversight to encourage investment, while maintaining trust,” said Dr Penny Sparrow from the John Innes Centre. 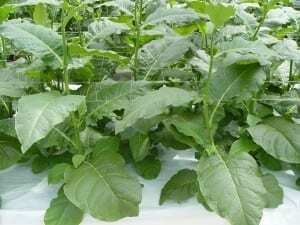 Advantages of using plants to produce therapeutic proteins include the ability to produce large quantities quickly and cheaply, the absence of human pathogens, the stability of the proteins and the ease with which raw material can be stored as seed. This could be of huge benefit in developing countries where problems with storage can render vaccines useless. If seed could be transported to local production and extraction facilities, the technology could also help boost local economies. The technology is also known as “plant molecular farming”. Just one farm growing 16,000 acres of safflower could meet the world’s total demand for insulin. But potential cost savings are eliminated under current regulations, set up for GM agricultural crops not pharmaceuticals. The average cost for having GMOs approved in Europe is estimated at €7-10 million per event, compared to $1-2 million in the US. This helps keep Europe behind in exploiting the potential of these technologies. “Openness and transparency are needed to develop new regulations that work for the public and for investors,” said Sparrow.